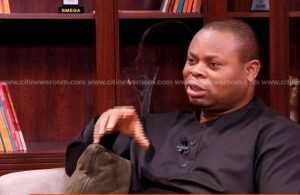 IMANI Africa President, Franklin Cudjoe has described the Criminal Investigations Department’s (CID) handing the case of the three girls kidnapped in Takoradi as unprofessional. He is of the view that, the conduct of the Police Service thus far makes its diligence and integrity questionable. Mr. Cudjoe was reacting to the latest assurances by the CID that it has identified the location of the girls but it will not give fuller details that may compromise the safety of the girls. “It does begins to sound like a movie we are watching. This whole thing doesn’t smack of any professionalism in dealing with the matters at all. It is just for the show and it is all for the politics for which this press engagement was organised. Otherwise, of what use really, is to come out and be telling half truths if not totally untruths,” he said on The Big Issue on Saturday. Meanwhile, Kwabena Okyere Darko-Mensah, the new Western Regional Minister has assured the public of government's eagerness to reunite the three kidnapped girls with their families. The Bureau of National Investigations (BNI) recently took over investigations into the kidnapping of three girls. Security agencies from the United Kingdom and the USA have also been aiding attempts to find the kidnapped girls. The girls, Ruth Quayson, Priscilla Blessing Bentum and Priscilla Koranchie are believed to have been kidnapped between August 2018 and January 2019. The main suspect in the kidnapping, Sam Udoetuk Wills is currently before a court after he escaped from jail in December 2018 following his first arrest. Over the period, residents in the metropolis have voiced concern over the pace at which investigations have progressed. Some groups have held protests and have also petitioned the President and the Sekondi Regional Coordinating Council over the case.